Hampstead Piano Academy is a private music school that provides one to one piano tuition at all levels and ages, from young beginners to motivated adults. Piano lessons in Hampstead take place at our studio, based in a quiet street within walking distance to public transport and nearby parking. In addition, there is also a service for home visits in the surrounding areas such as St. John’s Wood and the London borough of Camden: Hampstead Town, West Hampstead, Swiss Cottage or Belsize Park. Our services include individual piano lessons in classical, jazz and improvisation, as well as tutorials to prepare ABRSM, Trinity College and LCM exams at all levels. Being a soloist can often be a lonely pursuit so we also offer piano duet lessons (ideal for siblings, couples, friends and neighbours) and music playgroup sessions for the little ones. Each lesson is carefully planned and our pupils get the teacher’s undivided attention. The learning process is tracked and the students are provided with a monthly report: a personalized guidance to know what to practice and how to do it. Likewise, Hampstead Piano Academy organises public concerts where pupils can showcase what they have achieved through hard work, dedication and fun. Prizewinners of international competitions, our qualified piano teachers hold Master’s Degrees from London’s most prestigious colleges and conservatoires such as the Royal College of Music and Trinity Laban Conservatoire. Their performance experience, not only as soloists but also as a four hands piano duet, provides the students with a broader understanding of music. Hampstead Piano Academy is open Monday to Sunday, 9 am to 9 pm. Get in touch to book your free consultation lesson with one of our teachers. Teachers graduated from London’s most prestigious colleges and conservatories. Individual piano lessons in classical, jazz and four hands duet. Lessons last 30, 45 or 60 minutes depending on the age. We teach in our studio in Hampstead or at your home around North West London. Classical piano is a combination of discipline, patience, technique and musicality that allows you to communicate and share your feelings without words. Jazz and improvisation are an enjoyable training to become a well-rounded musician, play spontaneously with anybody or create your own pieces. ABRSM and Trinity College exams are a reliable measure of ability for music students. They test skills that are often neglected such as sight reading and listening. Piano Duet students will learn to socialize and play together by sharing the same instrument and having each other’s support, which can build confidence on stage. Music Playgroup is an opportunity for younger children to play together. Different games and the Játékok method will be used to encourage the student not to be afraid of mistakes and to love music. Groups will have a maximum of 4 people. Theory and musical language is as important as playing an instrument. The knowledge of the basis of music such as harmony or rhythm will improve the student’s performance skills. After each month, we provide a summary of what we’ve covered and a report to help the student to practice and the parents to keep a track on their learning process. Students will have a concert in the spring to showcase what they have achieved through hard work, dedication, and fun! Lessons last 30, 45 or 60 minutes depending on the age of the student, and are booked and paid monthly in advance. Travel fees may apply for lessons at the student's home. Mario has won prizes including the International Chopin Piano Competition of Granada and First Prize and Best Pianist Prize at the National “Intercentros Melómano” Competition, resulting in invitations from across Spain. Described as “tirelessly seeking to improve her piano playing and musical knowledge in the search for perfection” by Nino Kereselidze, Ángela Pagán holds a Master’s Degree and a Postgraduate Diploma with High Distinction from Trinity Laban Conservatoire of Music and Dance, London, under the tutelage of Mikhail Kazakevich and Martino Tirimo. She received her Bachelor Degree from Bonifacio Gil High Conservatoire of Music in Badajoz, where she studied with Ángel Sanzo. She was also a student of Nino Kereselidze in Katarina Gurska High Performance School. Ángela has achieved considerable success obtaining awards such as first prize in Villa de Caudete Competition of Young Artists, first prize in Villamalea Soloists Competition, second prize in Quintanar del Rey Young Soloists Competition, DKV Seguros Grant, The Henry Wood Fund, The Trinity Laban Hardship Fund, The Jimmie Cross Prize, The Weingarten Prize for piano and The Alfred Kitchin Scholarship. Learning the piano is a process where to teach the ingredients of music to the degree that the pupils have really internalised them, and can then apply what they’ve learned in all contexts. We aim to adapt our teaching to every single student depending on their abilities, whatever their pace is and however they work. We are continually inspiring our pupils to develop their imagination, creativity and self-esteem. 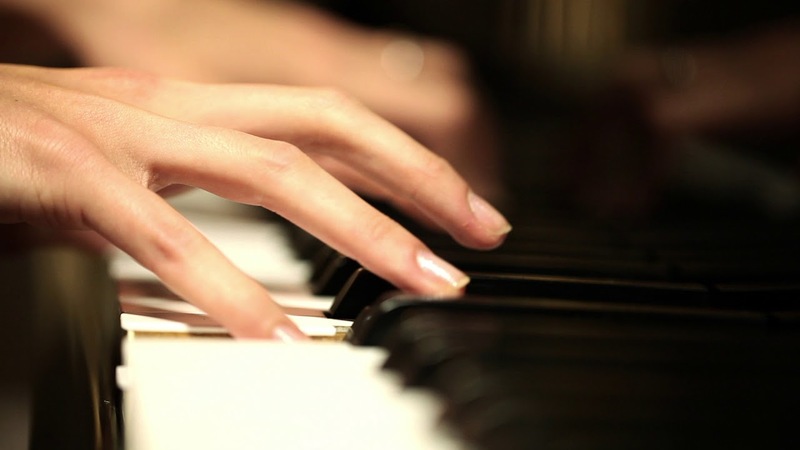 Hampstead Piano Academy believes that this process is more important than the outcome. When playing piano is enriching, exciting, absorbing and engaging, the journey becomes just as important as getting results. Is my child ready to begin piano lessons? We recommend the beginning of lessons when a child is able to count up to 10 and recognize letters up to G. However, the best way to know is trying a complimentary consultation lesson. Yes, we provide piano tuition at all levels and ages. Hampstead Piano Academy is based in a quiet street in Hampstead within walking distance to public transport and nearby parking. In addition, there is also a service for home visits in the surrounding area. What is the frequency of the lessons? We suggest one individual lesson a week. Yes, you do as you would need to practice. You can buy it, rent it or use a keyboard to begin with. Let us know if you need help with this. Yes. You can cancel or reschedule a lesson with at least 48 hours’ notice. Do you teach autistic students? Yes. Our teachers have been specialised in this field and they have experience with young children and mature adults. Students and teachers from Hampstead Piano Academy will showcase the result of their piano lessons. Come and enjoy an afternoon of live music with us! Hampstead Piano Academy is located in Langland Gardens, Hampstead, and it is easy to reach on foot from nearby places such as the O2 Centre, JW3, Camden Arts Centre or University College School. The nearest tube stations are: Hampstead station: Northern Line (Edgware branch), 10 minutes walk. Finchley Road station: Jubilee Line & Metropolitan Line, 10 minutes walk. The nearest overground station is Finchley Road and Frognal, 5 minutes walk. The nearest train station is West Hampstead Thameslink station, 12 minutes walk. Bus number 13 and 113 stops directly outside on Finchley Road. Bus 187 terminates at the O2 Centre. The number 268 travels along Belsize Park and Hampstead High Street. Many other services run to Hampstead, West Hampstead, Golders Green and Swiss Cottage from surrounding areas.